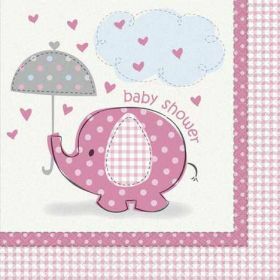 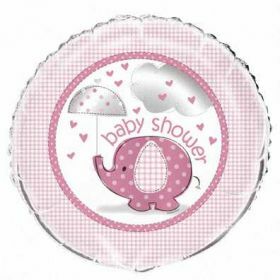 pack of 8 9 ins pink elephant theme plates for your baby shower party! 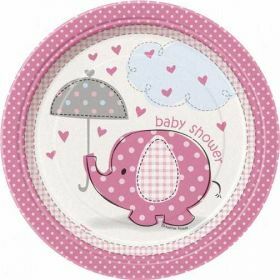 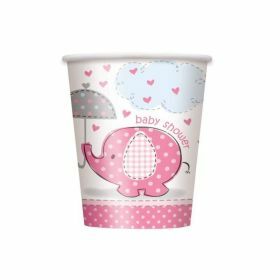 pk8 9 inch plates with cute pink elephant on - perfect baby girl baby shower partyware! 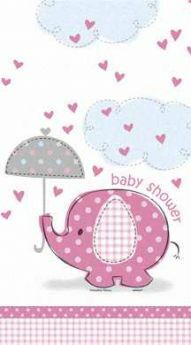 Umbrellaphants Pink Foil Balloon 18"